Whether it is an employee, a softball player or a salesperson, people with ambition reach for the stars. 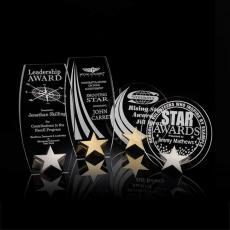 Recognize those that strive with star recognition awards. 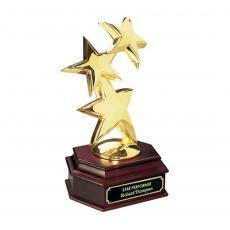 These star trophies are prized by the people receiving them because they show that their peers respect their efforts and achievements in the company, the sports team or the club. 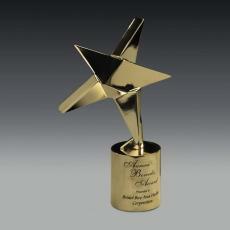 Personalized star awards come in a wide range of sizes and shapes, in a variety of designs and materials. 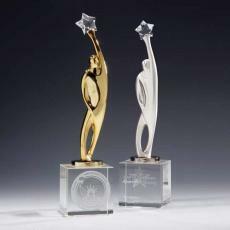 Crystal star awards can be as simple as a paperweight with a star encased within, or as elaborate as an optical crystal shooting star sculpture. 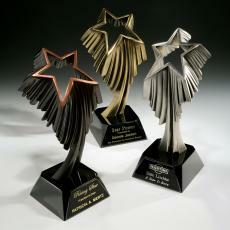 Acrylic star trophies are affordable and eye-catching. 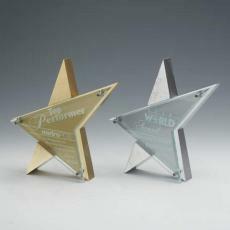 Choose a plaque with an engraved star design or an award in the shape of a star. 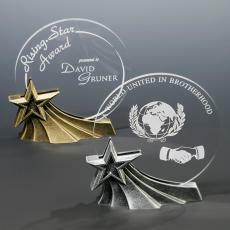 Customize the star awards by engraving it with the person’s name and the reason for the award. She will display it proudly on her desk at work or on a shelf at home. 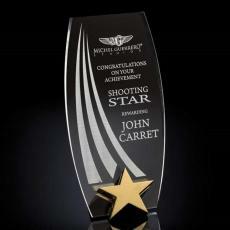 Laser engraved star awards have special meaning for recipients. Instead of an out-of-the-box trophy, she is receiving one that has been individualized to acknowledge her special contribution. $185 - $295| Sizes: 11.375" & 15.5"
$145 - $255| Sizes: 5.75", 6.75" & 9.5"
$145 - $255| Sizes: 10.5", 14" & 8.75"
$575| Sizes: 19" & 5"x19"
$315 - $325| Sizes: 10.5"
$155 - $295| Sizes: 12.5", 8.5" & 9.5"
$175 - $285| Sizes: 10.5", 13.5" & 9.5"
$185 - $295| Sizes: 11.5", 13" & 15.5"
$285 - $295| Sizes: 3"x10"
$165 - $285| Sizes: 6.25", 7.75" & 9.75"
$155 - $295| Sizes: 11.75", 7.5" & 9"